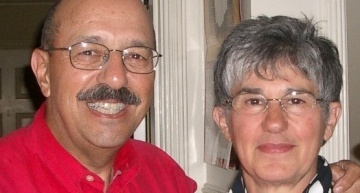 Despite their father’s admonitions, Basil and Jim Anton have spent over 40 years together in the restaurant and catering business. Their restaurants, Anton’s and Charlie’s, became centers of political, economic and community activity in Washington’s Puyallup valley. Their father, Antonio (Anthony) Demetrios Antoniou, was born in 1898 in Agrilia, a village near Lamia north of Athens, Greece. 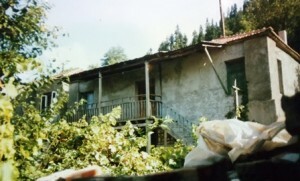 (The family home is still intact.) Like many at the time, he left the village and boarded a ship for New York looking for a chance to make a living in America. The road was not an easy one. He spent his early days in America working in the North Carolina coal mines, then on railroad crews and in the Army during World War I. When he tried to spell his name with almost no knowledge of the English language, he would stop after A-n-t-o-n…… and the name became Anton. His military service provided a path to citizenship. He traveled west and bought his first home in Buckley, Washington, and then purchased 10 small houses which were lost during the Great Depression of the 1930s. Looking for a destiny he could control, he opened his first restaurant on Pacific Avenue in Tacoma, Washington. In Tacoma he discovered his knack for taking over struggling restaurants and turning them into successes and then selling them to those who were looking for their slice of the American Dream. Over time he bought, transitioned and sold the Cable Car Fountain, the Jack and Jill, the Broadway Sports Center, the City Cigar Store, Anton’s Coffee Shop and others, before finally operating Anton’s Restaurant. In spite of his Greek heritage, Greek food was rarely on the menu as he found Tacoma residents of the day were not quite ready for Mediterranean cuisine. He found far more success in classic comfort food. 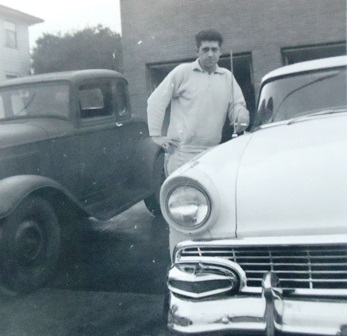 The restaurant business gave Anthony the financial security to put down roots in Tacoma, where he married Mary Gust Constantinidis, the daughter of Eleni and Vasili Constantinidis. Anthony and Mary had two sons, Basil and Jim. 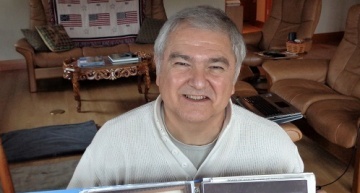 Anthony became active in Tacoma’s burgeoning Greek community serving in AHEPA (American Hellenic Educational Progressive Association) and as parish council president at St. Nicholas Greek Orthodox Church. 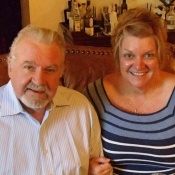 Like most restaurant families everyone worked in the business to ensure the family’s success. Mary, in addition to raising the boys, could be found helping in the restaurant, hosting, making sandwiches or whatever it took to keep things running. Basil and Jim grew up in the restaurants, bussing, cooking and even managing when needed all through their high school years (see the video segment “Trying to Run Anton’s Coffee Shop”). 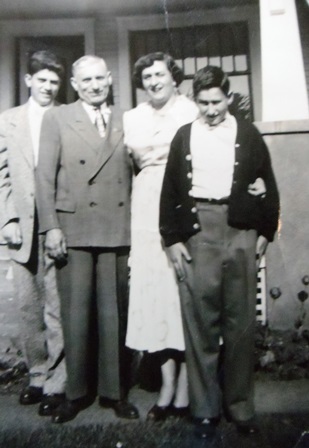 As young children in Tacoma, it was all Greek in the Anton home. 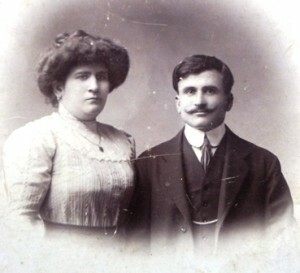 Their yiayia (grandmother) lived with them until she died in 1943 and always spoke Greek to her grandsons. 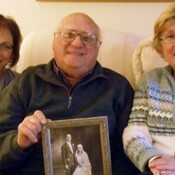 Their papou (grandfather) spoke only a little English. Basil and Jim would often go to pick him up at the local kafenion (Greek coffee shop) where Basil would be offered a soft drink so his papou could remain a bit longer with his friends. Basil and Jim served as altar boys at Tacoma’s St. Nicholas Greek Orthodox Church and remember several Greek families that lived near the church along Yakima Avenue. In their adult years, the brothers joined AHEPA but their business kept them from extensive involvement in the organization. 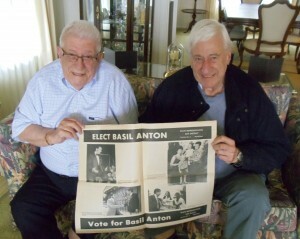 Vasilios (Basil) Antoniou (Anton) was born on July 31, 1935. His family had settled in the north end of Tacoma. The John family (see AN ISLAND EXPERIENCE IN TACOMA) was the only other Greek family in the area. Basil attended Bryant Grade School, Jason Lee Junior High and Stadium High School from which he graduated in 1954. He recalls other Greeks including Perry Diones, George Marigopoulos and Ethel Evans Barbas who attended Stadium at the time. He received his draft notice after one and a half years at University of Puget Sound (UPS) in Tacoma and joined the Navy at Sand Point Naval Air Station in Seattle. After his cooking experience was discovered, he found himself in Fallon, Nevada, with one helper serving meals at midnight for flight line crews. He also spent six months performing security work at Treasure Island Naval Station in San Francisco Bay. Back in Tacoma, Basil received six weeks of training to become a telephone repairman and troubleshooter for the telephone company, in no way planning to follow his father’s footsteps in the restaurant business. 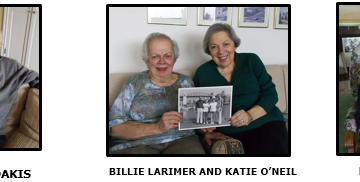 Before leaving for the Navy, Basil had met Thalia Lentgis, first at an AHEPA social event, then at an AHEPA convention in Vancouver, British Columbia. After a few dates and with the support of Thalia’s brother Dean, (see BOATS, CARS AND FAMILY DINNERS) the courtship blossomed. Basil and Thalia were the last couple to be married in the old St. Demetrios Church (on property now occupied by the REI [Recreational Equipment Incorporated] flagship store in Seattle) on August 19, 1962. Demetrios (James or Jim) Anthony Antoniou (Anton) was born in Tacoma on July 7, 1939. 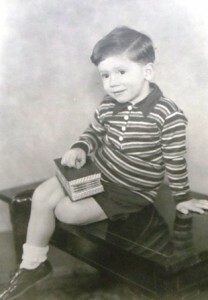 Like his brother, he attended Bryant Elementary, just down the alley from their home, then Jason Lee Junior High and Stadium High School, graduating in 1957. After high school he worked for the Boeing Company for one year before attending Olympic Community College in Bremerton, Washington, and graduated from the University of Puget Sound. 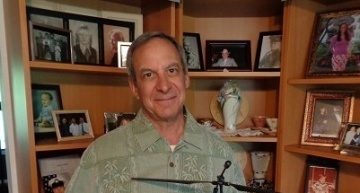 Jim spent eight years in the Washington National Guard, initially in a communications unit climbing utility poles on the Hanford nuclear site in Richland, Washington, until he protested and was sent to KP (kitchen patrol). However, with his restaurant experience and a good relationship with the sergeant who ran the mess hall, he continued to apply his culinary skills for the rest of his time in the National Guard. In 1963, he was working in real estate and was considering operating a real estate brokerage when a Puyallup restaurant opportunity arose. Jim has four children, James “Jimmy”, Alex, Evan and Grace, plus one granddaughter. 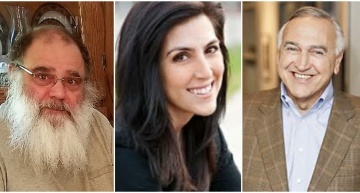 On July 23, 1963, Basil and Thalia were having dinner in their small Tacoma apartment when Jim called and said “I have something for you to look at.” Ingraham’s Restaurant and Motel in Puyallup was for sale. Basil and Jim, then 27 and 23 respectively, had no money for the purchase. Despite his earlier admonitions regarding the risks of the restaurant business, their father recognized their enthusiasm and loaned them the money. And so it began. 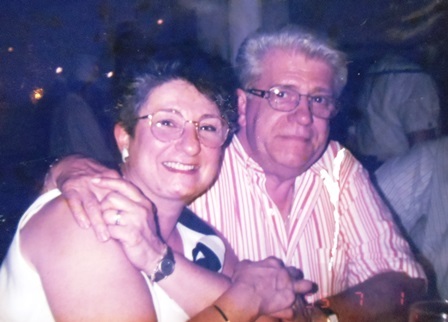 Initially Thalia kept her job in a law office and Basil stayed at the phone company for six months while they prepared the restaurant for its grand opening. 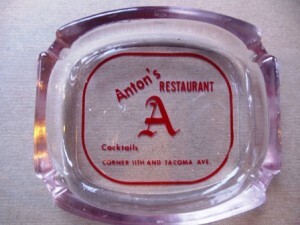 Renamed Anton’s Restaurant, it became a Puyallup landmark for the next 40 years. Thalia became the office manager and accountant for the business. Eventually Basil was able to quit his “day job” and dedicate full time to the restaurant. 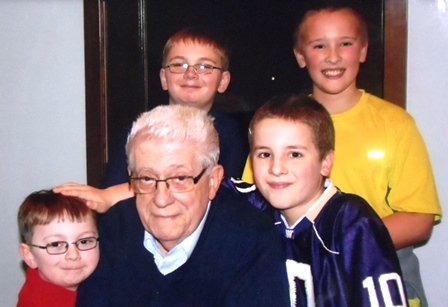 Repaying their father a decade later was one of their best memories of the business. Basil and Thalia’s two children are Anthony, born August 30, 1969 and Nicole, born August 16, 1971. 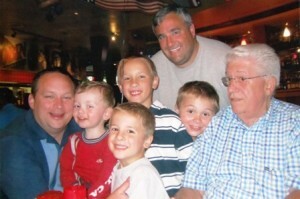 Like their father, they have grown up in the restaurants and done whatever they could to support the family business. Thalia continued her role with the business until she became ill and passed away in 2010. Puyallup was a small town in the 1960s and 1970s unlike the burgeoning suburb that it now is. Anton’s was on the border between Puyallup and Sumner and was like a city unto itself. The informal, small town environment allowed some shortcuts in the restaurant remodeling and expansion that could not occur today as Basil and Jim performed most of the work themselves. The chief of police, mayor and other local dignitaries frequented Anton’s. The community joke was that if a deal was made it was usually in the bar at Anton’s. The brothers even had their own fire department, an old fire truck which they would use for fun at local events, but not actually to fight fires. Basil served on the board of the Puyallup Valley Daffodil Festival for seven years and as president in 1970-1971. He and Thalia started a local community bank, the Bank of Sumner that supported local businesses. 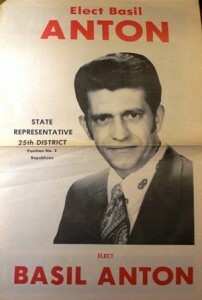 Basil credits or blames his good listening skills as the reason he was encouraged by local Republicans to run, albeit unsuccessfully, for the position of state representative in 1972. Meanwhile, Jim became the local caterer of choice for just about every event, wedding or other celebration in the community. The brothers’ dedication to the community was rewarded with strong customer loyalty that allowed them to develop new business ventures in Pierce County. 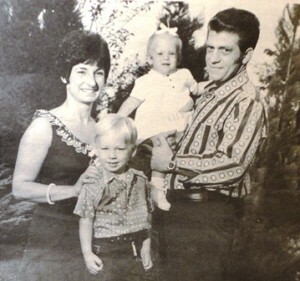 In the 1960s, they assumed ownership of the Farmhouse Restaurant at the 17-day Puyallup Fair (now the Western Washington Fair), and over the next few decades grew the Fair business and hired over 220 employees. Their concepts included the Mad Greek, Charlie’s Fairburgers, Anton’s Ice Cream, Mustard’s (a gourmet hot dog stand), Anton’s BBQ and Salsa’s among others. 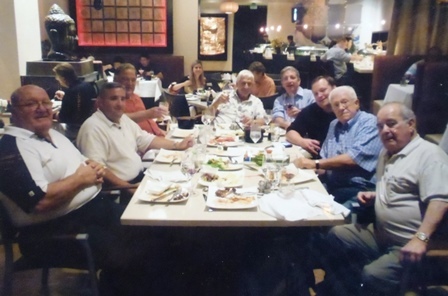 In 1973 the brothers bought Charlie’s in downtown Puyallup (a departure from the steak and seafood at Anton’s) featuring an outstanding salad bar, great comfort food and a more casual style. They now had two year-round restaurants which Basil operated while Jim focused on the catering business. 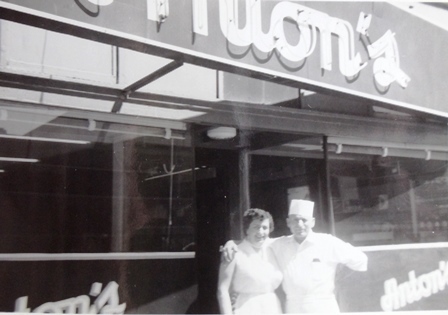 They tried serving Greek cuisine at Anton’s in the late 1960s, and their mother even made baklava to be sold there. However, except for a Greek salad, the fare remained non-Greek. In 1975 Basil and Jim contracted with the Bicentennial Pavilion at Tacoma’s convention center becoming its exclusive food and beverage provider, a relationship that lasted until 1981. 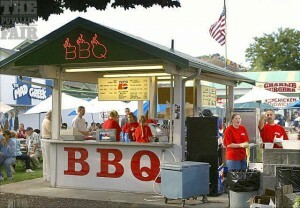 In bankruptcy at the time, the Pavilion had an excellent kitchen and adjacent loading dock which provided easy access for the catering business. Serving events of over 3,000 guests, the Pavilion allowed the brothers to serve dignitaries, celebrities and even a United States President. The arrangement provided that, when a new hotel (Sheraton Tacoma) was built next to the pavilion, the Antons would give up their lease. The pavilion is now part of and managed by the Murano Hotel which was remodeled from the original Sheraton. 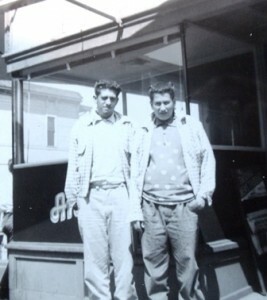 Basil and Jim experimented with several other restaurant concepts including Brothers (a disco in downtown Tacoma) and Porky’s (a deli style sandwich haven featuring freshly sliced meats). 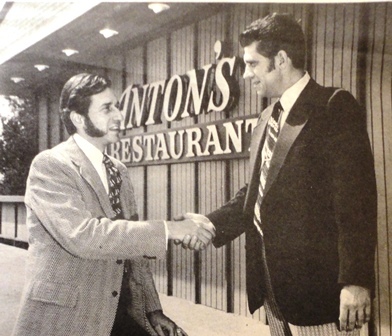 Over the years their businesses expanded to include Anton’s, Inc., AR Enterprises, Inc. and Rainier Ventures, Inc. 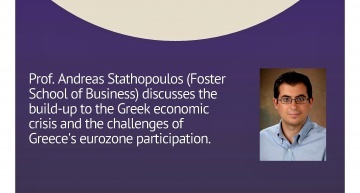 In today’s world Thalia would be the chief financial officer. Whether with card file, typewriter or computer you could find her in the office making sure payroll, taxes and all bills were paid in a professional manner. Often, Thalia’s children could be found in sleeping bags on the office floor when she needed to work late. 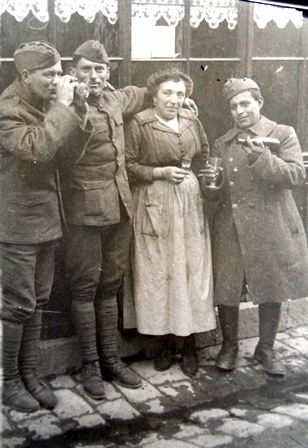 All of the brothers’ children helped in the businesses doing whatever they could from dishwashing to hosting at younger ages and bartending and cooking as they grew older. 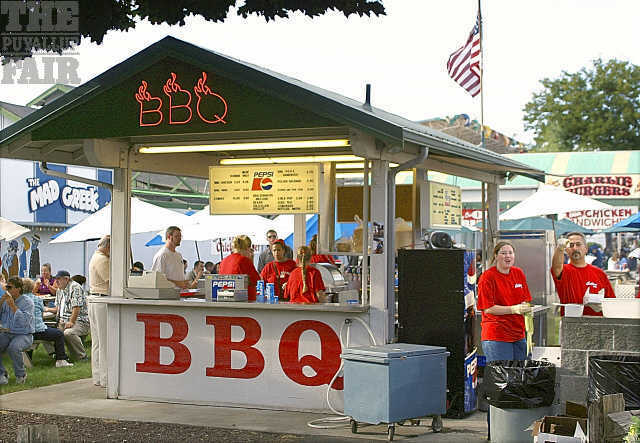 During a major remodel of the Western Washington Fair, much of the area where their food concessions stood was being demolished. 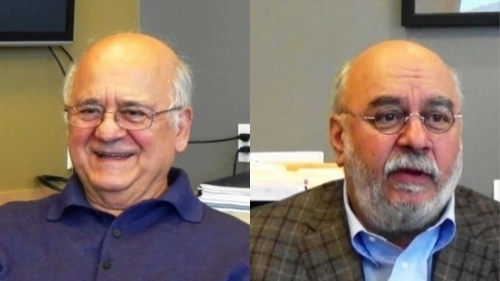 Also, as Basil and Jim entered their retirement years, they sold their holdings by 2010, ending more than 45 years in business, an accomplishment of which they are very proud. Basil and Jim credit any success to their instincts and restaurant work with their father. Anton Catering is well known to Greek families in Washington’s Puget Sound area. It expanded to include about 40 part-time employees, many of whom worked at the seasonal Fair establishments. 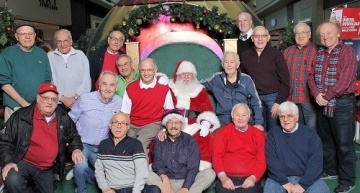 The brothers could often be seen in the background at weddings, baptisms, AHEPA events and holiday celebrations. Today Anton Catering handles only a few events for long-time clients, mostly during the winter holidays. The Anton story continues today. After a few years of retirement, Jim reentered the restaurant business in December of 2012. While working a Christmas party, he was asked to assume management of a small café at Watson’s Nursery in Puyallup. Now, he leases the space for “Anton’s at Watson’s” which he expanded from 30 to 62 seats and frequently has a waiting line. Basil and Jim still have a warehouse where an extensive supply of restaurant fixtures and kitchen equipment awaits further use. Basil’s son Anthony worked at the Fair, helped with catering and is now the Chief Executive Officer (CEO) of the Washington Restaurant Association. Jim’s son Alex is a chef in the Seattle restaurant scene. Basil’s son-in-law was “converted” to assist at the Fair and at the Greek Festival at Seattle’s St. Demetrios Greek Orthodox Church. Neither Basil nor Jim believes they have been treated differently as Greeks. Basil remembers his mother telling him, “You are American, but Greek too!” Today, Basil (regularly) and Jim (less frequently) attend weekly lunches with Basil’s brother-in-law and up to 20 Greek and Greek-Americans, rotating among Greek-owned restaurants in Seattle, enjoying the parea (companionship), sharing stories and using a few Greek words that they remember. While Jim is still too busy working to think about it, Basil is hopeful his legacy as a “good guy” will prevail.